Data-over-sound technology pioneer Chirp has teamed up with MEMS microphone brand Vesper to demonstrate the capabilities of the technology at this year’s CES. The two tech firms have demonstrated zero-power data-over-sound acoustic networking. This connectivity breakthrough allows devices integrating Vesper’s microphone to receive data via Chirp’s ultrasonic audio protocol. The device can receive data even if it is initially in a ‘zero power’ standby state, leveraging the microphone’s advanced power saving capabilities and Chirp’s customised acoustic protocol to wake the device. 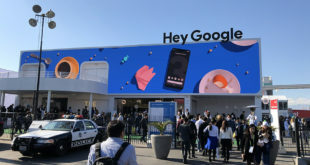 “This combination represents a major breakthrough for battery-powered devices requiring extreme low power connectivity,” said Chirp. Using a mobile iOS app and an Amazon Echo Dot-style consumer device, the companies demonstrated the ease, speed and low power requirements of using data-over-sound and Vesper microphones together. Use cases include things like controlling Spotify music and smart meeting room sign-ins. 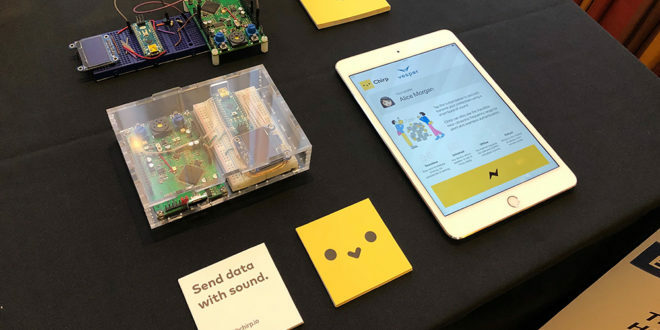 “We are very excited to be working with Vesper to show how seamlessly data-over-sound can work with Vesper MEMS microphones, and are thrilled to be demonstrating this at CES,” commented James Nesfield, CEO at Chirp.